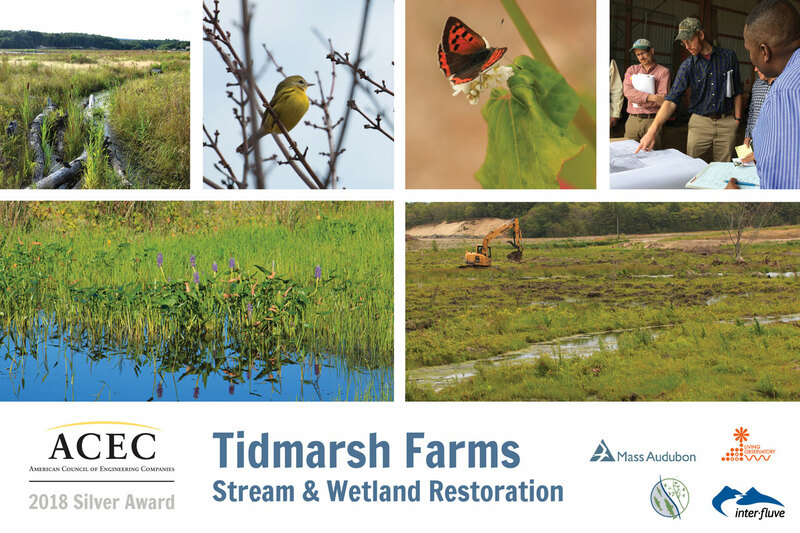 Inter-Fluve was a Silver Award winner for the 2018 ACEC/MA Engineering Excellence Awards competition for our work on the Tidmarsh Farms Restoration project. The project was also a winner of one of the Environment Business Journals (EBJ’s) 2017 Business Achievement Awards for Natural Resource Management. Image credit: Mass Audubon, Living Observatory.